Check out the employers that are ready to hire veterans and military spouses right now. America's elite want you as part of their team. Accenture is a leading global professional services company, providing a broad range of services and solutions in strategy, consulting, digital, technology and operations. With approximately 442,000 people serving clients in more than 120 countries, Accenture drives innovation to improve the way the world works and lives. Aetna is one of the nation’s leading diversified health care benefits companies, serving an estimated 46.5 million people with information and resources to help them make better informed decisions about their health care. Aetna offers a broad range of traditional, voluntary and consumer-directed health insurance products and related services, including medical, pharmacy, dental, behavioral health, group life and disability plans, and medical management capabilities, Medicaid health care management services, workers’ compensation administrative services and health information technology products and services. American Water, a trusted steward of our most precious resource, treats and delivers more than one billion gallons of water to residential, commercial and institutional customers who depend upon us each day. With a broad national footprint, American Water serves 16 million customers in 35 states across the country, in addition to managing the utility infrastructure for 12 U.S. military bases. We are the nation’s largest investor-owned water and wastewater utility, and the only water utility on the Dow Jones Utility Index and Sustainability Index. We are a leader in our industry for water quality, research and environmental stewardship. APi Group Inc. is a multi-billion-dollar parent company to more than 40 independently managed life safety, energy, specialty construction and infrastructure companies in over 200 locations worldwide. Beacon Roofing Supply, Inc. is one of the largest distributors of residential and non-residential roofing and complementary building products in North America. We are known throughout the building supply industry for having quality people, quality service and quality building products. BMO Harris Bank provides a broad range of personal banking products and solutions through over 600 branches, and fee-free access to over 43,000 ATMs across the United States. These include solutions for everyday banking, financing, investing, as well as a full suite of integrated commercial and financial advisory services. BMO Harris Bank’s commercial banking team provides a combination of sector expertise, local knowledge and mid-market focus throughout the U.S.
Canadian Pacific is a transcontinental railway in Canada and the United States with direct links to major ports on the west and east coasts, providing North American customers a competitive rail service with access to key markets in every corner of the globe. CP is growing with its customers, offering a suite of freight transportation services, logistics solutions and supply chain expertise. Combined Insurance has been serving customers since 1922. We have over 3 million supplemental insurance policies in force in North America and pay out almost half a billion dollars in claims every year – nearly $1 million every business day. Celebrating 24 years in business, CruiseOne Dream Vacations has grown to 1000+ franchise owners. As part of World Travel Holdings, we are the world’s largest seller of cruise vacations. We maintain the position as the premier vacation supplier providing millions of people access to the world’s most fascinating destinations. DynCorp International is a leading global services provider offering unique, tailored solutions for an ever-changing world. Our success is based on seven decades of strategic decisions and the dedication of our people who have made us a trusted partner to commercial, government and military customers. We provide sophisticated aviation, logistics, training, intelligence and operational solutions wherever we are needed. In everything we do, we are guided by our core values: We Serve, We Care, We Empower, We Perform and We Do the Right Thing. DynCorp International is headquartered in McLean, Virginia, USA. Farmers Insurance® is an enterprise committed to opening the doors of opportunity to America’s heroes when they are ready to transition to civilian careers. Farmers offers a variety of opportunities for veterans to leverage the skills learned during their training and deployment to build careers as agency owners or corporate employees. Transitioning veterans with an entrepreneurial drive and interested in owning their own business are encouraged to look at a Farmers agency ownership opportunity. With operations spanning the country, Farmers is also continuously looking for veterans with leadership skills and those with a passion to succeed. FirstEnergy (NYSE: FE) is dedicated to safety, reliability and operational excellence. Headquartered in Akron, Ohio, FirstEnergy includes one of the nation’s largest investor-owned electric systems, more than 24,000 miles of transmission lines that connect the Midwest and Mid-Atlantic regions, and a generating fleet with a total capacity of more than 5,000 megawatts. Garage Force International is a leader with a strong reputation as one of the largest, and most dependable installers of top-of-the-line concrete coating systems for both the commercial and residential markets. Garage Force franchises are an entrepreneurial opportunity for military service men and women who want to increase overall financial security and personal success. This regional business is the model for franchise partnership opportunities. Years spent developing a strong business and marketing plan will enable owners to operate their Garage Force franchise and begin generating immediate revenue. Hasbro (NASDAQ: HAS) is a global play and entertainment company committed to Creating the World’s Best Play Experiences. From toys and games to television, movies, digital gaming and consumer products, Hasbro offers a variety of ways for audiences to experience its iconic brands, including NERF, MY LITTLE PONY, TRANSFORMERS, PLAY-DOH, MONOPOLY, BABY ALIVE and MAGIC: THE GATHERING, as well as premier partner brands. Through its entertainment labels, Allspark Pictures and Allspark Animation, the Company is building its brands globally through great storytelling and content on all screens. Hasbro is committed to making the world a better place for children and their families through corporate social responsibility and philanthropy. Hasbro ranked No. 1 on the 2017 100 Best Corporate Citizens list by CR Magazine, and has been named one of the World’s Most Ethical Companies® by Ethisphere Institute for the past seven years. Hertz Global has an exciting portfolio of rental car brands – including Hertz, Dollar, Thrifty and Firefly, as well as Donlen – and a long legacy of innovation and industry firsts. What makes us different? Our relentless commitment to deliver outstanding customer experience. Hilton is one of the largest and fastest growing hospitality companies in the world, with more than 4,700 properties comprising more than 775,000 rooms in 104 countries and territories. In the nearly 100 years since our founding, we have established a portfolio of 13 world-class brands, including Hilton Hotels & Resorts, Waldorf Astoria Hotels & Resorts, Conrad Hotels & Resorts, Canopy by Hilton, Curio – A Collection by Hilton, DoubleTree by Hilton, Embassy Suites by Hilton, Hilton Garden Inn, Hampton by Hilton, Tru by Hilton, Homewood Suites by Hilton, Home2 Suites by Hilton and Hilton Grand Vacations. Originally committed to serving the central United States, Holland has expanded farther into the Southeast and Midwest where it continues to provide on-time reliability. Its dedicated employees have earned the prestigious Quest for Quality award from Logistics Management magazine every year since the mid-1980s. 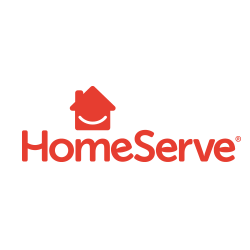 The HomeServe veterans program can: provide you with training for the plumbing, HVAC, or electrical trades, create the opportunity to apprentice to get licensed, offer competitive pay in an industry that needs an excellent workforce, allow for full or part-time hours, and match you with a leading contractor in your geographic region. 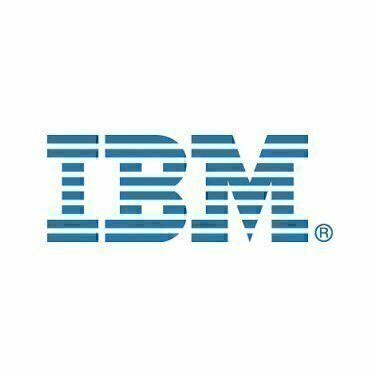 From helping transform healthcare to improving the retail shopping experience, it’s what IBMers do. Our work and our people can be found in all sorts of interesting places. Mathematicians, coders, and web designers contribute to creativity in the kitchen (Watson! ), rerouting traffic jams, even designing the next generation fan experience in sports stadiums around the world. 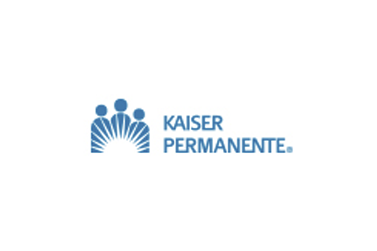 For more than 60 years, Kaiser Permanente has existed to provide high-quality, affordable health care services and to improve the health of our members and the communities we serve. KeyCorp, based in Cleveland, Ohio, is one of the nation’s largest bank-based financial services companies, with assets of approximately $93.8 billion. Key helps clients and communities thrive by delivering products and services through nationwide offices and nearly 1,000 full service branches in 12 states. Our company and our 14,000 employees take great pride in our strong support of military-friendly programs, including targeted recruiting, new hire onboarding, our Military Inclusion employee resource group, and active duty- and veteran-focused engagement within Key and throughout the communities we are proud to serve. Koch Industries, Inc. started in the heartland and has expanded to become one of the nation’s largest private companies with 70,000 U.S. employees and locations in nearly every state. Koch employees work every day to help make better clothing, technology, shelter and other necessities. Our opportunities span a variety of fields, such as engineering, IT, supply chain/logistics, business, operations, maintenance, skilled trades, EH&S and manufacturing. We are a proud Military Friendly® employer, offering professional training and mentorship to support veteran career transition and growth. Join forces with us. 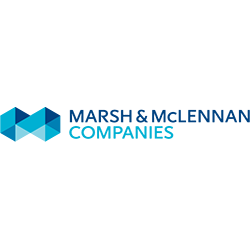 MARSH & McLENNAN COMPANIES (NYSE: MMC) is a global professional services firm offering clients advice and solutions in the areas of risk, strategy and people. 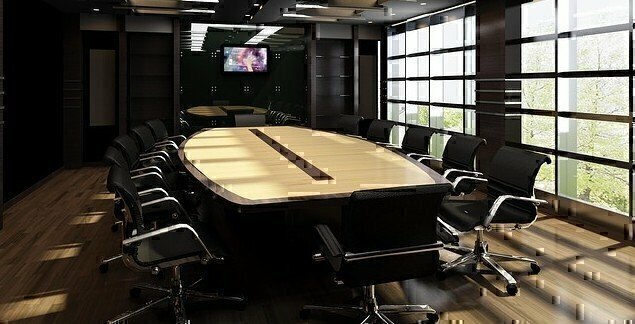 healthcare company in the world today and are dedicated to providing leading innovations and solutions for tomorrow. Nutrien is the world’s largest provider of crop inputs and services, playing a critical role in helping growers increase food production in a sustainable manner. We produce and distribute over 26 million tonnes of potash, nitrogen and phosphate products world-wide. With this capability and our leading agriculture retail network, we are well positioned to supply the needs of our customers. We operate with a long-term view and are committed to working with our stakeholders as we address our economic, environmental and social priorities. Olympus contributes to society by making people’s lives healthier, safer and more fulfilling through innovative solutions in: Medical and Surgical Products; Scientific Solutions; and Cameras and Audio Products. 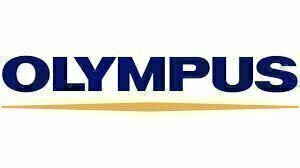 Olympus Corporation of the Americas – a subsidiary of Olympus Corporation in Japan – employs more than 5,000 people throughout North and South America. At Oracle, our vision is to foster an inclusive environment that leverages the diverse backgrounds and perspectives of all of our employees, suppliers, customers and partners to drive a sustainable global competitive advantage. Ideas and talent are universal, and so is our workforce. Embracing differences has made Oracle a world-class organization and innovator. With offices in 145 countries, we’re committed to identifying and recruiting the top talent in every location. In the U.S., this includes a veteran internship program, military outreach events and a dedicated Veteran Recruiting team that have all served themselves. At Pearson, we are on a mission to help people make progress in their lives through learning. It’s a big ambition, and it’s far from a straightforward journey. We’re continually challenging ourselves to think differently, step in new directions, and inspire others along the way. Penske is a company, whose people move the things that move the world forward. We are driven by a deep, personal commitment to helping customers succeed every day. We see enthusiastic associates with strong commitments to customer service, operational excellence, and fresh thinking in our truck leasing, rental, maintenance, and logistics businesses. Reddaway, founded in Oregon City, OR, has served the Pacific Northwest since 1919. Through our comprehensive western local service center network, we have built a long-standing tradition of next- and two-day delivery services. We are a complete and formidable western service provider. With high on-time reliability and one of the lowest claim ratios in its region, Reddaway is among the most-efficient providers in the industry. Its 3,500 loyal employees have earned the prestigious Quest for Quality award from Logistics Management magazine for 20 years. Schneider is the premier provider of truckload, intermodal and logistics services, offering the broadest portfolio in the industry. A $3.9 billion company, Schneider has been delivering superior customer experiences and safely getting it done for 80 years. Shell is a global group of energy and petrochemicals companies with over 93,000 employees in more than 70 countries and territories. In the US, we have operated for over a century and are a major oil and gas producer onshore and in the Gulf of Mexico, a recognized innovator in exploration and production technology, and a leading manufacturer and marketer of fuels, natural gas and petrochemicals. We deliver energy responsibly, operate safely with respect to our neighbors and work to minimize our environmental impact. 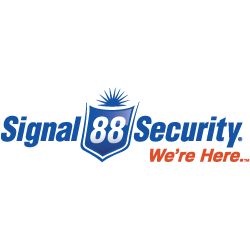 Signal 88 Security is one of the nation’s leading security franchises for residential, commercial, retail and institutional customers. Built on the principle that safety is a basic human right and need, Signal 88 offers customized services to keep communities free from harm. This includes the brand’s unique patrol method—in which a Signal 88 Security vehicle comes on site a number of times per night to scope out the designated area—as an effective and economical means to deter crime. SpartanNash (SPTN) is a Fortune 400 company and the largest food distributor serving US military commissaries and exchanges in the world, in terms of revenue. The Company’s core businesses include distributing food to military commissaries and exchanges, and supplying independent grocery retailers, as well as our corporate-owned retail stores located in 46 states and the District of Columbia, Europe, Cuba, Puerto Rico, Bahrain and Egypt. At Swift Transportation, we offer a variety of careers and positions combined with competitive salaries, great benefits and a supportive atmosphere. Swift’s size, strength and stability make it a great place to work—on and off the road. 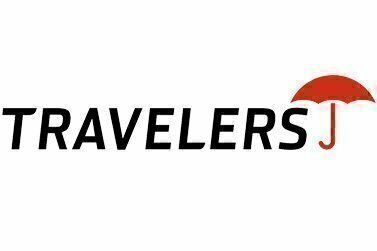 Travelers is a leading provider of property casualty insurance for auto, home and business. The company has operations in the United States, Canada, the United Kingdom, Ireland, and Brazil (through a joint venture with J. Malucelli), and offers its customers a wide range of coverage sold primarily through independent agents and brokers, as well as specialized risk control services to help individuals and business owners protect against the unexpected. At TTEC, we value veterans and the exceptional qualities and skills they bring to our team. We encourage those looking for a fast-paced career to join our company and experience exciting professional development and career growth opportunities. Founded in 1982 and with more than 49,000 employees operating across six continents, we use a blend of technology and humanity to help clients provide a great experience to their customers, build customer loyalty, and grow their business. Together, our two divisions (TTEC Digital and TTEC Engage) help brands make every interaction they have with a customer–whether it’s face-to-face, online, over the phone, on social media, or via a mobile app–simple, personal and exceptional! United Rentals, Inc. is the largest equipment rental company in the world. The company has an integrated network of 895 rental locations in 49 states and 10 Canadian provinces. The company’s approximately 12,400 employees serve construction and industrial customers, utilities, municipalities, homeowners and others. The company offers approximately 3,200 classes of equipment for rent with a total original cost of $8.94 billion. We’ve been in business for more than 150 years spanning five generations, building on a legacy that began with delivering supplies on wagon trains to the Western Frontier. Today, we’re a publicly traded Fortune 150 company on the New York Stock Exchange (NYSE), and inside our doors you’ll find us developing leading-edge solutions to help our customers’ operations flourish. The United States Postal Service® has a long history of providing career opportunities to veterans, reservists, and their family members. USPS currently employs over 100,000 Military Veterans. USPS values the leadership, reliability, and skills veterans bring, as well as their loyalty, leadership ability, reliability, and integrity. USPS offers careers in accounting, finance, operations, marketing, sales and human resources and many others. Verizon Communications Inc. is a global leader in delivering the promise of the digital world. Verizon Wireless operates America’s most reliable wireless network, with 112.1 million retail connections nationwide. Verizon also provides converged communications, information and entertainment services over America’s most advanced fiber-optic network, and delivers integrated business solutions to customers worldwide. Vinnell Arabia is the leader in U.S. military doctrine-based training, logistics, and support services inside Saudi Arabia. We answer our customer’s requirements perfectly throughout the Kingdom of Saudi Arabia and have done so for over 35 years. Wells Fargo & Company (NYSE: WFC) is a diversified, community-based financial services company with $1.9 trillion in assets. Wells Fargo’s vision is to satisfy our customers’ financial needs and help them succeed financially. Founded in 1852 and headquartered in San Francisco, Wells Fargo provides banking, investments, mortgage, and consumer and commercial finance through more than 8,300 locations, 13,000 ATMs, the internet (wellsfargo.com) and mobile banking, and has offices in 42 countries and territories to support customers who conduct business in the global economy. With approximately 263,000 team members, Wells Fargo serves one in three households in the United States. Wells Fargo & Company was ranked No. 25 on Fortune’s 2017 rankings of America’s largest corporations. 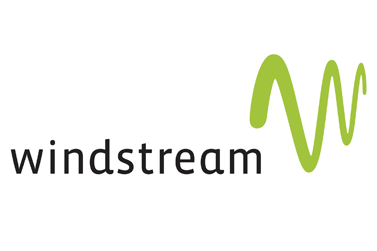 Windstream Holdings, Inc. (Nasdaq: WIN), a FORTUNE 500 company, is a leading provider of advanced network communications and technology solutions for consumers, small businesses, enterprise organizations and carrier partners across the U.S. Windstream offers bundled services, including broadband, security solutions, voice and digital TV to consumers. You’ll find clean air, beautiful, natural areas for outdoor recreation, friendly neighbors, great schools from pre-K through technical colleges and research universities, the nation’s best healthcare and a thriving job market. Housing is diverse and affordable, and commute times are well below the national average. Living here offers you more—and allows you to be more you.